Order early to ensure time for delivery!!! The process is all online and easy. FREE SHIPPING on orders of $59.00 or more. Orders will be delivered directly to your home. Note: You must be registered and have paid/validated before you can order through your “My Trenholm Portal”. Students will be personally responsible for all unallowable charges to financial aid, such as duplicate book purchases. Veterans using benefits under the Chapter 31 Disabled American Veterans (DAV) Program will need to come to the business office to purchase their books in order to obtain the required signatures. This does not apply to students receiving benefits as relatives of Veterans. Also, students using benefits under the WIOA program will need to come to the Business Office to purchase their books. Click on the “Bookstore” Menu and then click on the “Bookstore Supplies” link. Click on the “Buy Your Textbooks” link and the books for your schedule will be shown. 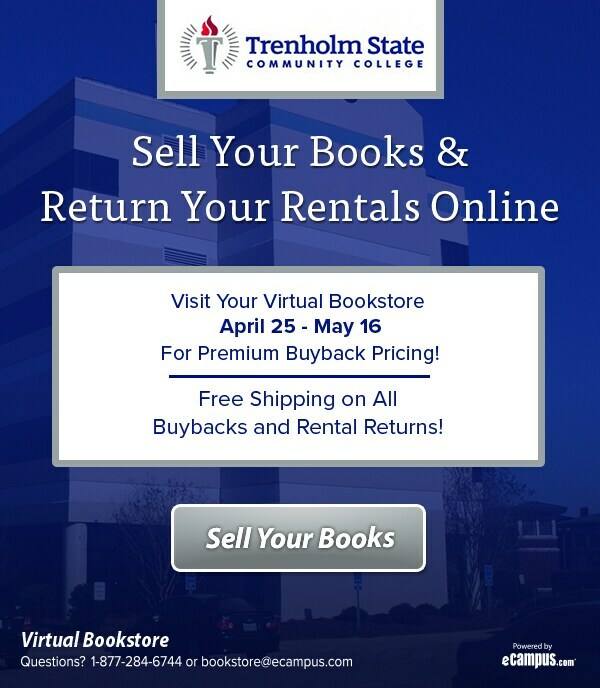 Choose the textbooks and the purchase option (new, used, rental, or digital) that you need to purchase. Follow the prompts and complete your order just like any other online purchase. Your books will be delivered to your house. Detailed, Trenholm Online Order Process here.